GNU Octave is a freely distributable scientific software that is primarily designed in Octave language that is an interpreted programming language similar to Matlab. The core purpose of GNU Octave is to perform numerical computations in order to find the numerical solution of the linear and non-linear problems. It is capable of supporting various data structures and it runs on Windows, Linux based systems and Mac OS. 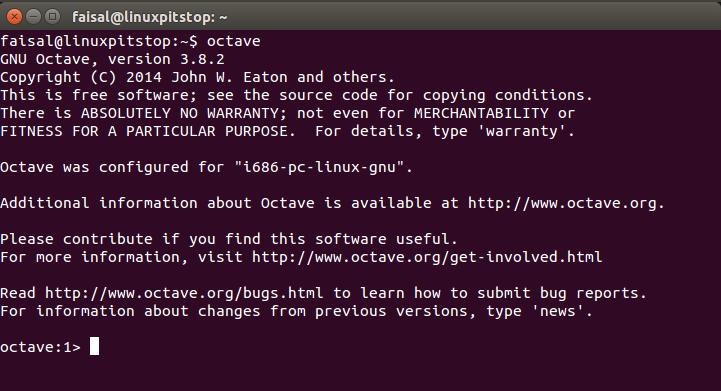 GNU octave has a command line interface but the latest versions also come along with GUI in addition to the command line. The major uses of GNU octave is to find the solution for command linear algebra problems, manipulating polynomials, data processing, finding the roots of nonlinear equations. 2. Octave is installed and ready, in order to get it working from command line, just type octave on the terminal and press enter. 3. Run the following command to enter into the graphical mode of octave. 4. Click Finish to complete and start using GNU Octave. 5. Wanna do some simple calculations just to try? GNU Octave is a wonderful scientific and mathematical software that is used for numerical computations and solving linear and non-linear problems. 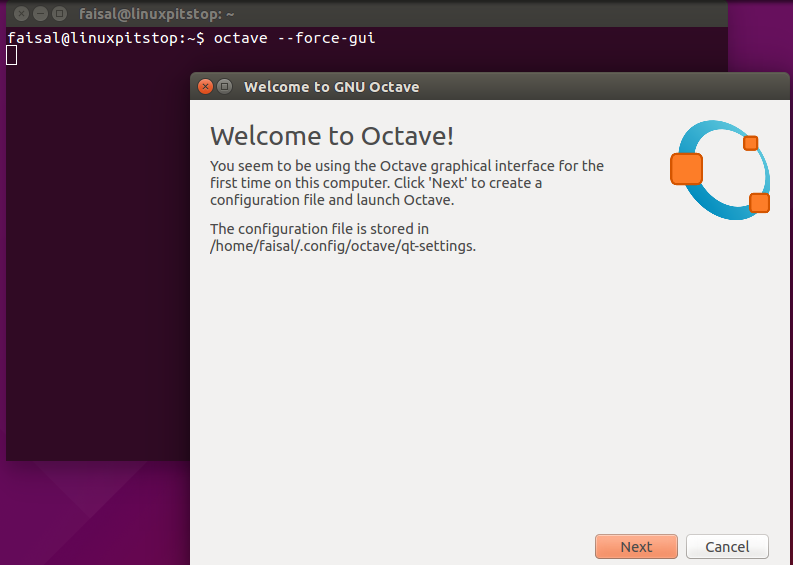 GNU Octave 4.0 has also been released as well and we will be going to install and discuss its new prominent features in the upcoming article. 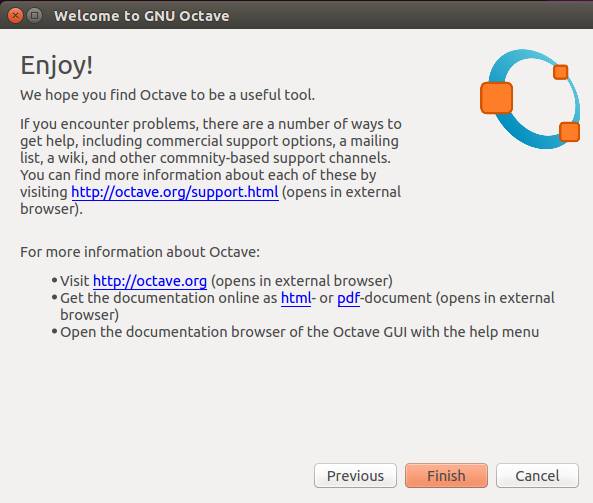 GNU Octave is highly recommended for Linux professionals and students to get their related problems solved.